Following the U.S. Supreme Court’s decision on Tuesday that paves the way for implementation of Texas’ voter ID law, the state Department of Public Safety announced it will begin processing applications for free voter ID cards. Following the U.S. Supreme Court’s decision on Tuesday that paves the way for implementation of Texas’ voter ID law, the Texas Department of Public Safety announced it will begin processing applications for free voter ID cards this week. 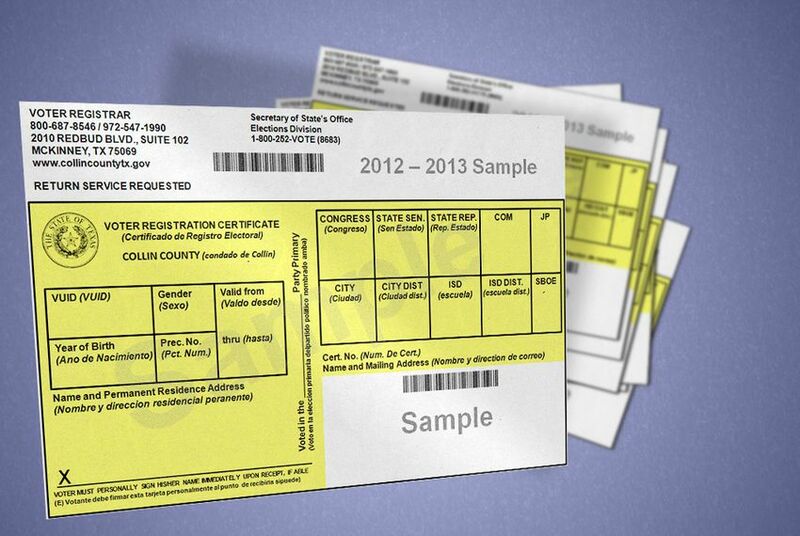 On Wednesday, the department will begin issuing so-called election identification certificates for qualified voters. Offering the certificates is required by Senate Bill 14, a measure that passed in 2011 but was on hold until Tuesday's decision. The IDs are free and will be available to voters who do not yet have a viable form of ID, such as a driver’s license, a concealed handgun license, a passport or military ID. Applicants must go to a DPS driver’s license office to apply and show proof of citizenship. The IDs can only be used to vote, and are not acceptable forms of personal identification for other purposes. To qualify, applicants must be U.S. citizens and Texas residents and be eligible to vote in Texas. They must prove it by showing a valid voter registration card or submitting a voter registration application when applying for the card. Most documents will be valid for six years, though they do not expire for citizens 70 or older. An accepted list of documents that prove citizenship can be found here, and proof of identity documents can be found here. The free IDs were in response to opponents of voter ID who said thousands of voters would not have access to — or money for — valid IDs. Though they are available for no charge, opponents say obtaining the free IDs will still be difficult for potential voters who live far from DPS offices, or who don’t have money to purchase copies of their birth certificates if they don’t already have the document.